Some people get a little overwhelmed when it comes to researching their choice for a Hazel Green landscaper. We realize not everyone in Hazel Green and surrounding areas already knows our name which would make the decision making that much easier. 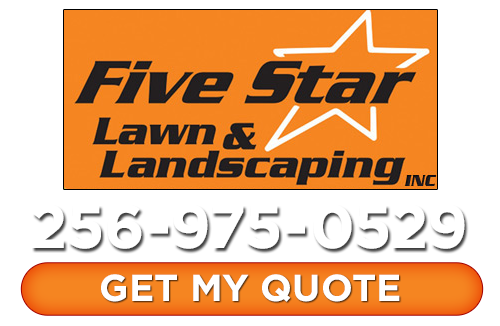 But if you ask around you are bound to hear the same name over and over, “Five Star Lawn and Landscaping”. Since 2008 we have been using our expertise to take the best care possible of our clients. We are dedicated to delivering the same level of expert handiwork and customer service when it comes to the work we do. 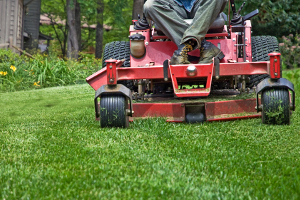 So if you want to feel confident that you have the best in the business working on your side, as well as on your lawn, give our professional landscapers a call today at 256-975-0529. One of the most charming aspects of the Hazel Green, Alabama area is the amount of land that is still designated for farming. Go anywhere else in the country and you will notice how scarce that is these days. Gone are the days of keeping your land for farming and passing it through generations of the same family. Yet here, you still get that. So for our team here at Five Star Lawn and Landscaping, Inc. it is quite an honor to not just live here but be the top choice for Hazel Green lawn care services. We know families here take great pride in their homes as well as the land they have. And we just couldn’t be more thrilled to be the name locals trust in when it comes to taking the best care possible of that land. If you want that same level of expert lawn care service give us a call today at 256-975-0529. If you want your lawn to look its best, it is time to start working with a true professional. This is not the type of work you can realistically take care of by yourself. And hiring a landscaper who is less than the best only means neglecting you of having the best yard on the block. Keep in mind that an attractive and healthy lawn is about a great deal more than just getting it mowed on a regular basis. You have to be confident that the so-called professional you do hire has the ability to care for your lawn and not just cut it. At Five Star Lawn and Landscaping, our experienced landscapers know what it takes to get the job done and keep your grass looking healthy. Contact us today to find out more about our Hazel Green landscaping services. If you are looking for a Hazel Green landscaper, please call Five Star Lawn and Landscaping, Inc. at 256-975-0529 or fill out our online request form.